And why diving into mobile games was a smart move. The last time we talked with Reggie Fils-Aime, Nintendo of America's president and chief operating officer, the company was stepping into uncharted territory with Super Mario Run and the Switch's revolutionary spin on portable gaming. Now, almost a year later, Nintendo's latest console has been a huge success. Super Mario Run, unfortunately, wasn't as profitable as the company would like (despite 200 million downloads). But Nintendo's other mobile game, Fire Emblem Heroes, has been wildly successful, and it's planning to bring the popular Animal Crossing series to iPhones this month. After the failure of the Wii U, that's a surprisingly speedy reversal of fortunes. This time, rather than hoping to be successful, Fils-Aime was able to revel in a strong year. While the Switch's game library took months to mature, it's seen more third-party support than the Wii U ever did. In particular, smaller independent titles, like Stardew Valley and Thumper. "We worked with the big developers to give them technical support," Fils-Aime said. "For the independent-developer community, we had support from Unity and Unreal. That was critical in terms of enabling them to take their content and bring it on to our system." "I think also what these developers saw was that Nintendo can help them from a discovery standpoint a variety of different ways," he added. "It's not only through our e-shop, it's through the news feature on the Nintendo Switch. [...] We're providing, if you will, a total opportunity, a large and growing install base, easy development tools, and ability to get the word out, and that's working." It also helps that the Switch is an easy sell for developers and consumers alike. It's powerful enough to use on your TV but portable enough to carry with you. Something Nintendo was never able to accomplish with the Wii U -- it brought Nintendo into the HD era, but its huge gamepad was a pain. You could play games on it away from your TV, but you had to be near the console. And, needless to say, developers didn't warm to its odd two-screen format. Ultimately, the Wii U was simply too weird for, well, everyone. The Switch, on the other hand, brings console-like gaming anywhere; the 3DS is more pocketable with a strong library of titles; mobile games give you bite-size playtime at a whim. Nintendo's focus on portability is clearer than ever. While some questioned the future of the 3DS after the release of the Switch, Fils-Aime believes each console serves its own purpose. "For Nintendo Switch, it really is about a big-game experience," he said. 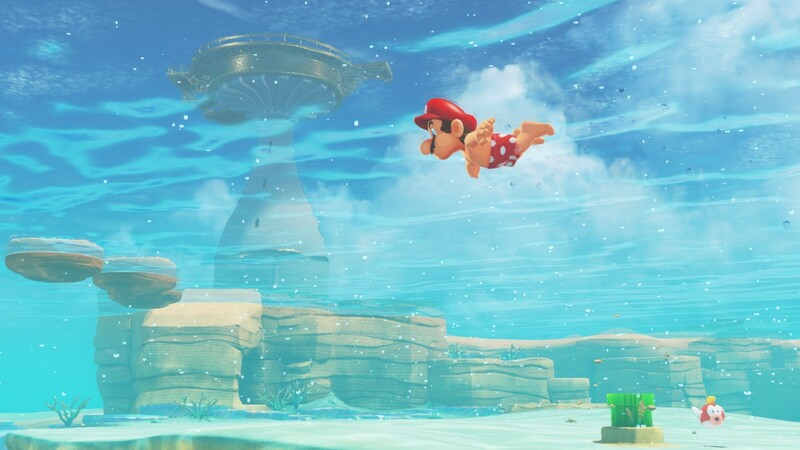 "Odyssey is a big game, there's a lot to do, as you've experienced. Breath of the Wild is a big game. ... The 3DS is my machine. As I talk with consumers, that's what they relayed back to me, 'This is my machine. I play my games. It's my little getaway.' And then mobile, mobile is the true snack of entertainment. When you've got a couple minutes to spare, it's there in your pocket." That utopian vision of gaming is very different to what Nintendo was saying as recently as 2014 when it denied reports it was building mobile games for smartphones. Partially, that's due to the rise of Tatsumi Kimishima as Nintendo's president in 2015. Now, Fils-Aime sees mobile titles like Super Mario Run as a way to promote Nintendo's franchises to a larger audience. "Our Pokemon business for Nintendo 3DS had a huge surge last year [after the release of Pokemon Go], culminating with the launch of Pokemon Sun, Pokemon Moon," he said. "I do think [Mario Run] started to drive some excitement for the next Super Mario experience." Even though Nintendo is finding some success in mobile, it stubbornly refused to embrace the platform for years. So what about VR? Fils-Aime doesn't see the company dabbling in that yet, but he also noted that Nintendo was on the bleeding edge of many gaming advancements. "Our [Nintendo 64] controller was the first to include a joystick," he said. "The DS was the first mass-market consumer-electronics device with a touchscreen. We constantly push the edge on technology. But for us, technology needs to be fun. ... We want the technology in our devices to enable a social experience." "Accelerometers were not in the lexicon until it was in a Wii remote and you're playing Wii Sports," he added. "So fun, social, mass market are the elements for us. We brought augmented reality to the marketplace with Nintendo 3DS. We made it fun, we made it social. With VR, again, we just continue to put it up against those standards. For us, it's not quite there yet." That's not stopping Nintendo's partners from experimenting with VR, though. Just take a look at Bandai Namco's Mario Kart arcade experience in Japan. Fils-Aime says the company is learning from those games, but he points out that it's tied to a very specific amusement center experience. 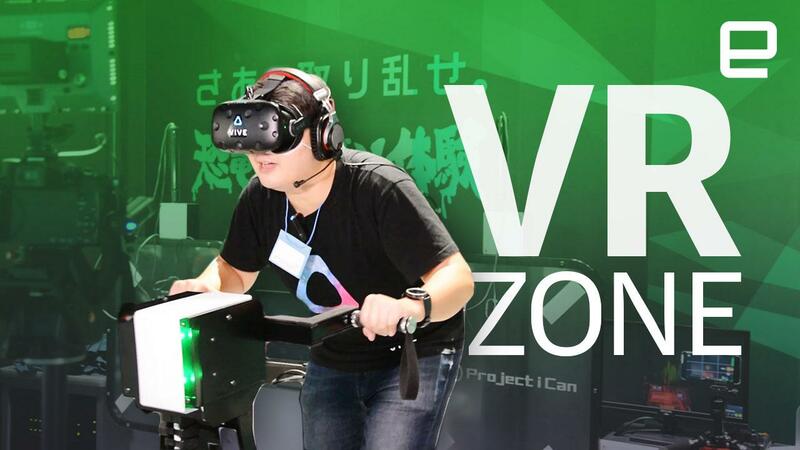 Figuring out how to translate VR to your living room in typical Nintendo fashion will be far tougher. In general, Nintendo is opening up to letting partners have more freedom with its characters. That was clearer than ever with Ubisoft's Mario + Rabbids Kingdom Battle, a (surprisingly great) X-Com-like strategy game. Fils-Aime says the Ubisoft team "created something magical," but he also points out that Shigeru Miyamoto kept an eye on it during development. While he wouldn't divulge any details about future games, he says Nintendo's open to opportunities where its executives and trusted partners are involved, and there's a "commitment to quality." At this point, anything seems possible for Nintendo. The company has systematically addressed its major weaknesses and come back in full force with the Switch and mobile. Oh, and it's delivered two of the best games ever made this year alone: Breath of the Wild and Mario Odyssey. Fils-Aime summed up the company's new vision succinctly: "In the end, if we have a consumer who plays Super Mario Odyssey on their big screen, heads out and plays Super Mario Run on their mobile device, and before they turn in for the night, they're playing a little Mario Party, we're perfectly happy."